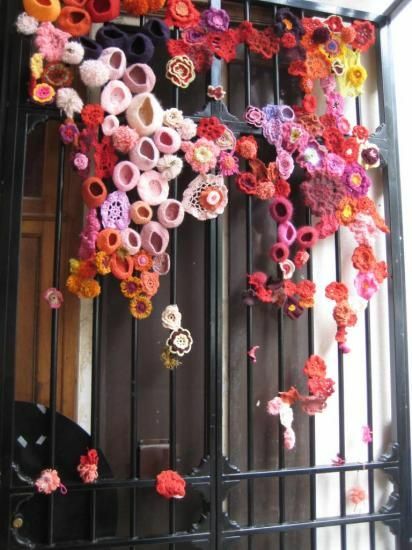 Street Art, Craft Style: Yarn Bombing The Gorgeous! 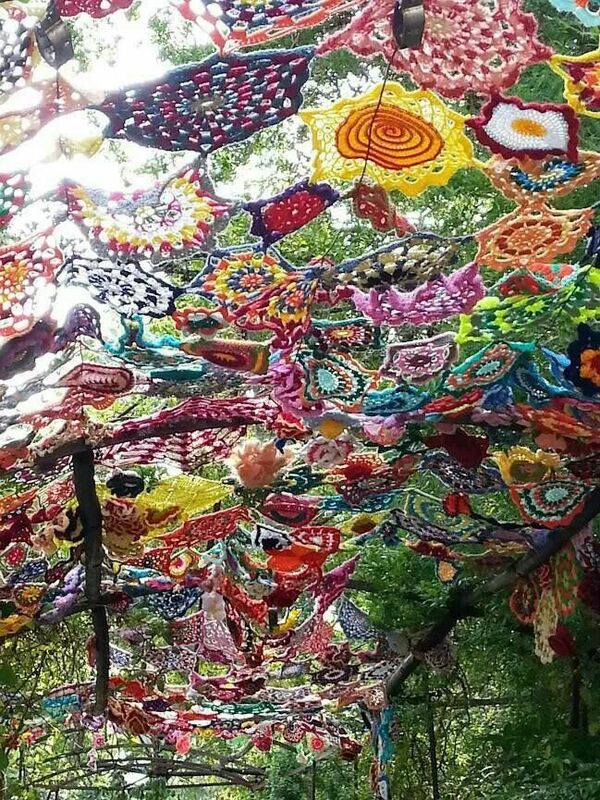 Today is a day for a bit of fantasy and the impossibly brilliant artistry of yarn bombing. For any of you that still think street art is a lesser form of art, I have talked to many a well-heeled street artist who has climbed scaffolding or hung from a ledge dangling a can of spray paint in the process of creating some of the most beautiful murals you have ever seen, risking life and jail in the process. 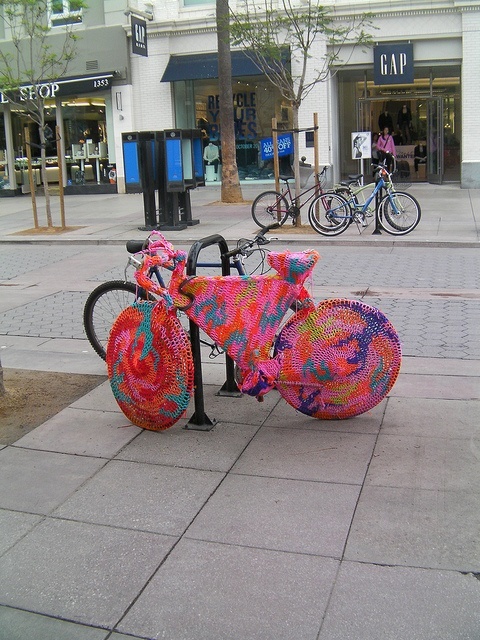 Yarn bombing has textures and layers of a different form of intrigu. 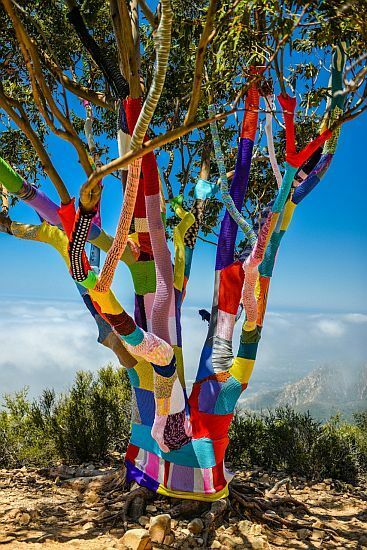 After all, there is tremendous behind-the-scenes handiwork and stitchery to create a simple yarn bomb…and the more elaborate we get the more the vandal sweaters blanketing everything from soaring trees to telephone booths become total masterpieces! 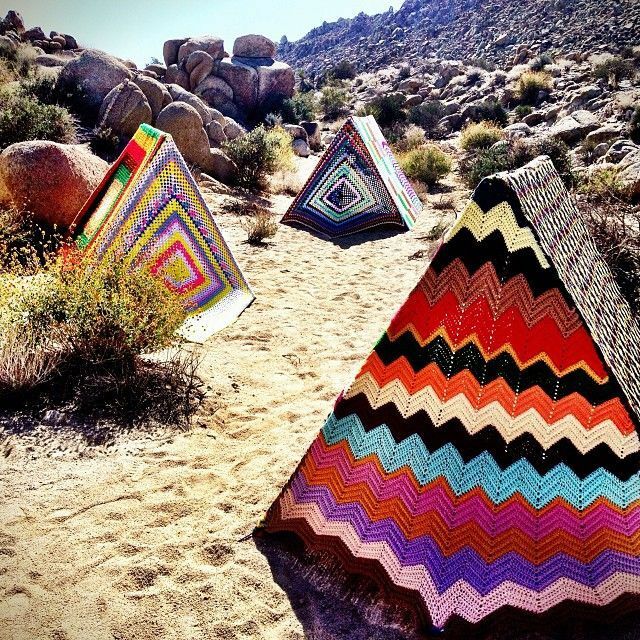 These fantasy tents invoke my need to go glamping! 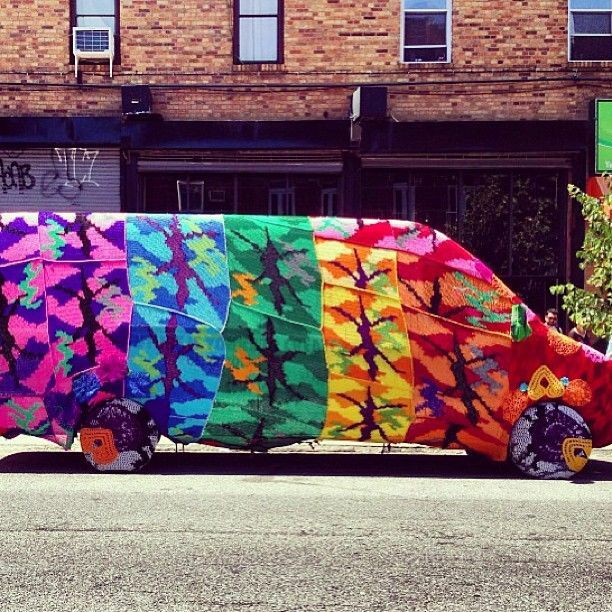 A big van has never looked better! 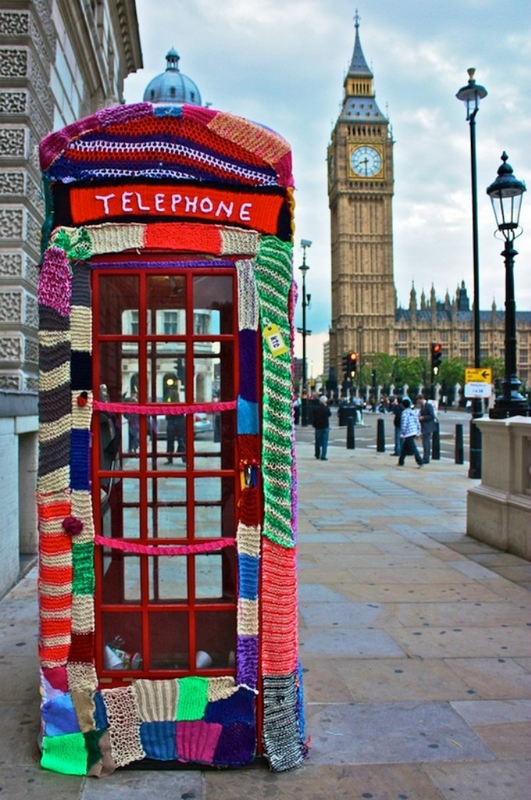 In Paris, the yarn bombing has a posh personality as it is intracately woven into the city. I would be thrilled to find my bike in this way. Honored, in fact! And wondrous, like a stained glass ceiling. 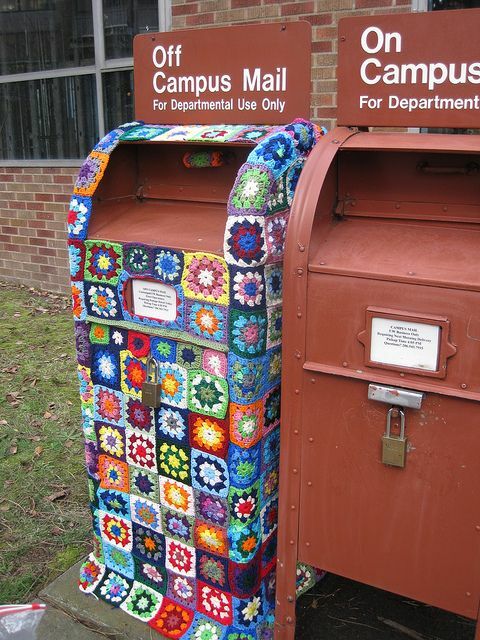 I have never heard of yarn bombing before, but I love it. 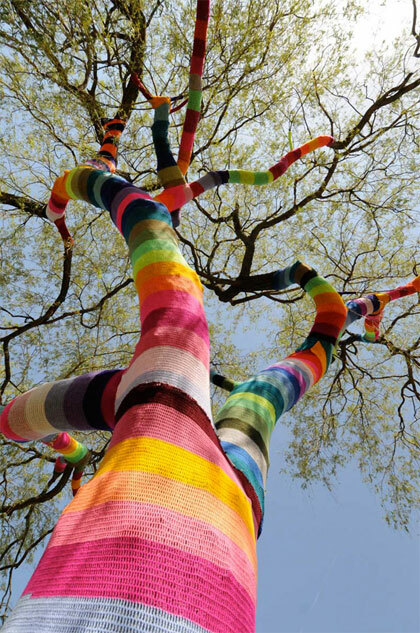 How does anyone knit a tree? It’s gorgeous. Previous post: Feng Shui To Make A Big Transition! Next post: 6 Feng Shui Ways To Warm Up A Cold-Feeling Bedroom!